Dog Jaunt’s giveaway of an Outward Hound backpack carrier is still underway, so I have backpacks on my mind. 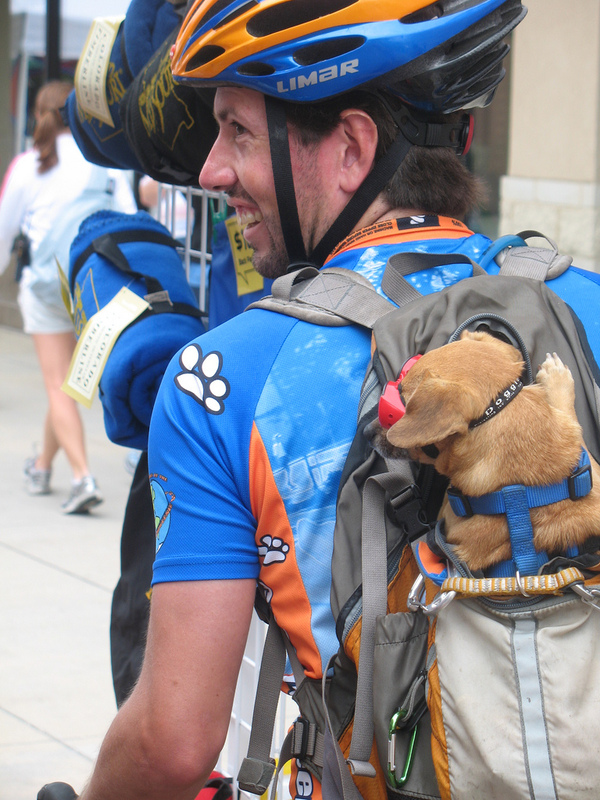 This week’s photo charms me, not only because the guy loves his dog enough to bring him biking, but also because the dog is wearing Doggles dog goggles (love ’em! ), AND also because the owner has kluged up a regular backpack with carabiners and a short strap (look closely) to create a tether-like restraint that passes through his dog’s harness. Ingenious! But wouldn’t a backpack designed to carry a dog be easier? That will be GREAT! I love the photos on your foXnoMad site! !